This chicken fell apart as I removed it from the crock pot. It was very good! The original recipe can be found here. Use your fingers to carefully loosen skin from the chicken breast. Then rub the butter under the skin. Place the chicken over the onions, breast side up. Next add the stock, parsley and dill. Then drizzle the lemon juice over the chicken and sprinkle with seasonings. Cook, covered, on low 4-5 hours (a thermometer inserted in thigh should read at least 180°). Remove the chicken from crock pot and tent with foil. Let it stand for 15 minutes before carving. 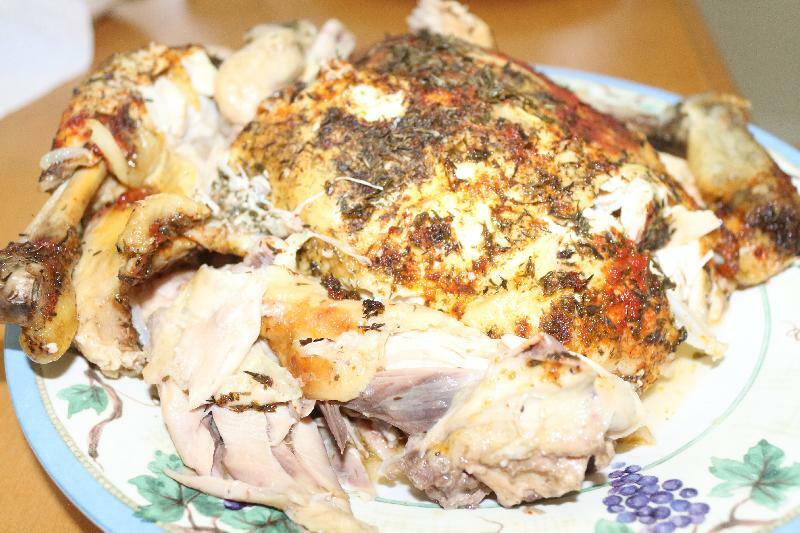 Description: Slow cooking makes this chicken fall off of the bone!